As discussed in the previous article, the membership of the Organization of American States is in fact not at all united around support for foreign intervention and recognition of an alternative second “president” (Juán Guaidó). Standing opposed to the denial of recognition of Maduro’s legitimacy as the elected leader are not just Cuba, Nicaragua, Bolivia, and for now Mexico and Uruguay, but also Caribbean states such as Dominica, St Vincent and the Grenadines, and Suriname. Trinidad and Tobago, St Kitts and Nevis, Antigua and Barbuda, Barbados, and Belize abstained from the OAS resolution—which, it turns out, does not mean the same as indifference. The action by the OAS implicitly threatened all governments in the region, which has already significantly damaged the organization’s integrity, as discussed below. “Reaffirming their commitment to the tenets of Article 2 (4) of the United Nations Charter which calls for Members States to refrain from the threat or the use of force and Article 21 of the Charter of the Organization of American States which refers to territorial inviolability, the Heads of Government emphasized the importance of the Caribbean remaining a Zone of Peace”. “called on external forces to refrain from doing anything to destabilize the situation and…called on all actors, internal and external, to avoid actions which would escalate an already explosive situation to the detriment of the people of Bolivarian Republic of Venezuela and which could have far-reaching negative consequences for the wider region”. “Citizens of Venezuela can appeal to the Government of Venezuela and the parties in Venezuela but Venezuelans here in Trinidad and Tobago cannot determine what the foreign policy of Trinidad and Tobago ought to be. It is the Government of Trinidad and Tobago and the citizens of Trinidad and Tobago ultimately and the governments of Caricom and the citizens of Caricom who must determine the foreign policy of Trinidad and Tobago and of Caricom”. “So it is not as if President Maduro is clinging on to power by himself and so on and the vast majority of the Venezuelans are against him. That is not the case”. “Very regrettably, but not surprising, Guaido has taken the consistent right-wing line of the opposition rejecting any talks, rejecting any mediation and simply wanting for [sic] resolve the thing by force backed, of course, by the United States and some other coun­tries”. 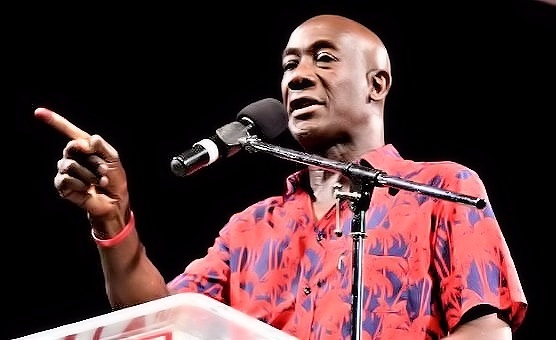 Squaring off against his domestic opposition, Prime Minister Keith Rowley took direct aim at the United National Congress in parliament, which is pro-US and pro-interventionist. Rowley openly called them “traitors” for trying to undermine CARICOM’s mission of mediation. Prime Minister Rowley has also clashed with the leadership of the OAS, precisely on the question of Venezuela, well before this latest crisis erupted. Back in 2017, Rowley called for the dismissal of OAS secretary-general Luís Almagro. Prime Minister Rowley’s point, which was correct, is that the OAS was compromised by taking an interventionist stance towards Venezuela, and delegitimizing its duly elected leader. Rowley further accused the OAS leadership saying that the result was that, “the OAS has now removed itself from any meaningful participation and has deteriorated now into partisan attacks”. “The Heads of Government consider it imperative that you publicly clarify that you did not speak on behalf of all the member states of the Organisation of American States….We are aware that this is not the only occasion on which you have made public utterances in the name of the organisation without authority”. CARICOM described Almagro’s actions as a “clear departure of from normal practice and cause for great concern”. 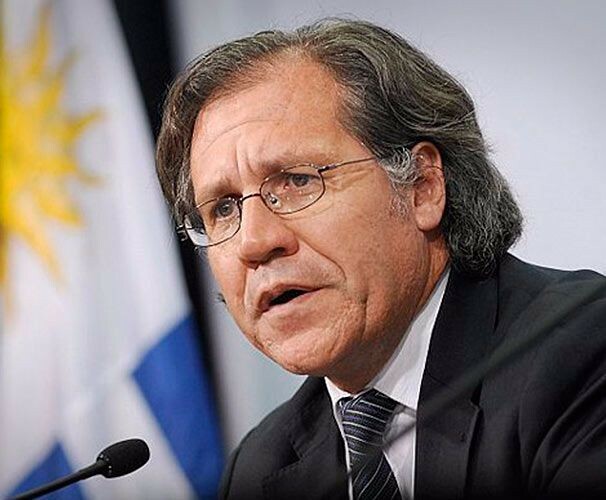 Almagro has gone as far as advocating a foreign military invasion of Venezuela. Journalists noted that, “the OAS website lists media and press releases for the month of January and there is nothing about the OAS’s support for Guaido”. Trinidad & Tobago joined a CARICOM team to meet in Uruguay on February 7, as part of a mediation effort led by Mexico and Uruguay. Calls for dialogue continue to be flatly rejected by Guaidó, echoing the same line taken by Trump and his team. The meeting of 15 Caribbean nations plus Mexico, Uruguay, and parties in Venezuela, taking place in Montevideo tomorrow, represents the formation of a bloc that can act as a significant counterweight to the so-called “Lima Group” of US dependents in Latin America and neocolonial states such as Canada. Unlike the Lima Group, no foreign media have been banned in advance— the Canadian government blocked Russian and Venezuelan media from covering the Lima Group meeting in Ottawa on February 4, an act of suppression of press freedoms that occasioned no outcry at all in Canada. The largely right wing “Lima Group” that opposed Maduro itself consisted of a range of shady and extreme characters tarred by their involvement in corruption scandals and with ties to death squads, along with Canada with its liberal authoritarian tradition and its penchant for necolonial violence. Once again, none of the “decolonial” crowd, fashionable as they are in academia, has drawn any of the logical and historical connections between Canada’s internal colonialism and its external neocolonialism, which are united by the same principles and interests, even the very same parties and actors. This failure of intellect is not an accident either, but is a subject best explored at another time.